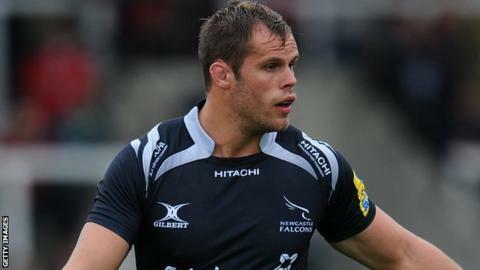 Newcastle captain Will Welch has signed a new two-year deal at Kingston Park. The 24-year-old flanker came up through the club's academy and has made 135 appearances for the Falcons since his debut in October 2008. Welch has started 10 Premiership games this season, and scored tries in each of the club's last two matches, against London Welsh and Newport Gwent Dragons in the European Challenge Cup. He follows Mark Wilson in agreeing a new deal at the club this season. "As a local lad, he is very much part of what we are trying to build here at the club," said director of rugby Dean Richards. "He has a lot of support from the senior players within the group, and has developed well over the past five years at the same time managing the captain's responsibilities."